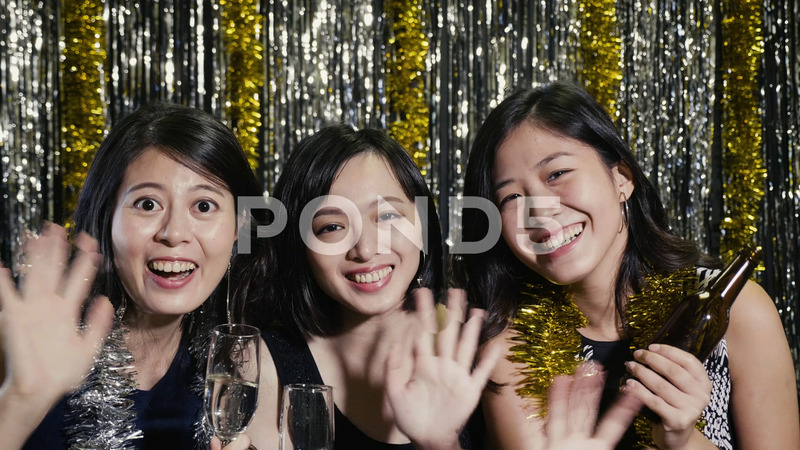 Description: slow motion of girls cheerfully waving hands with champagne and beer. young ladies love night out with best friends with drinks. beautiful women with party dresses face camera smiling.